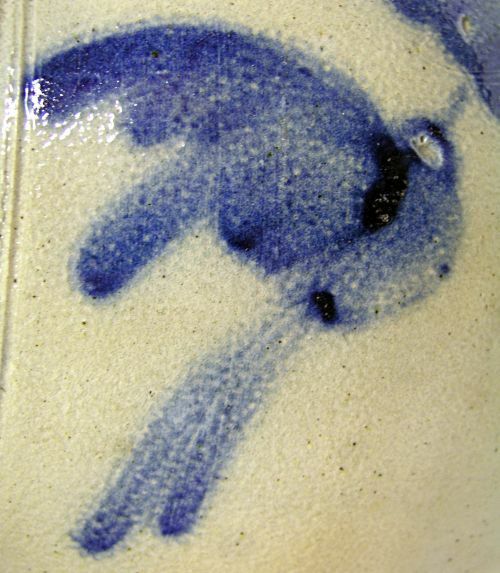 Blue decorated Hummingbird in flight with flowers. Very unusual design. 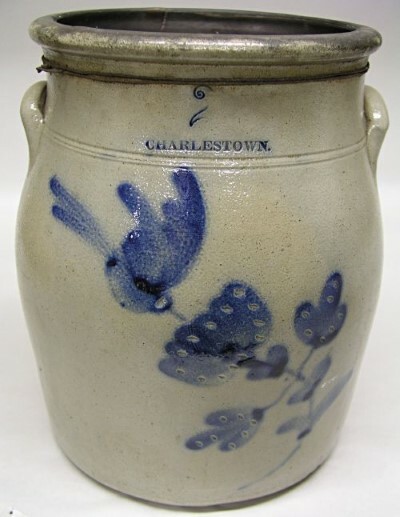 Two gallon Charlestown jar with Hummingbird. 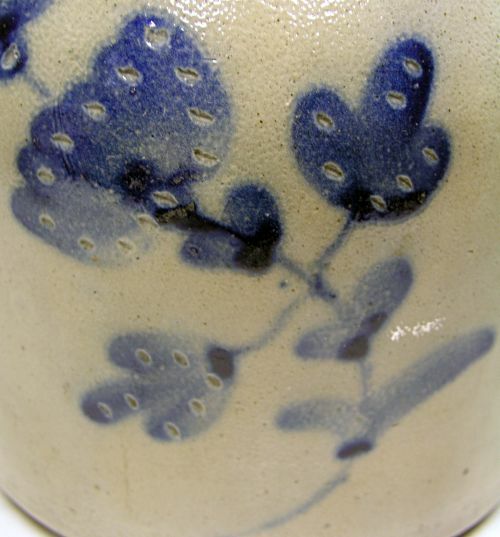 Birds eye as well as flowers have incised dots. 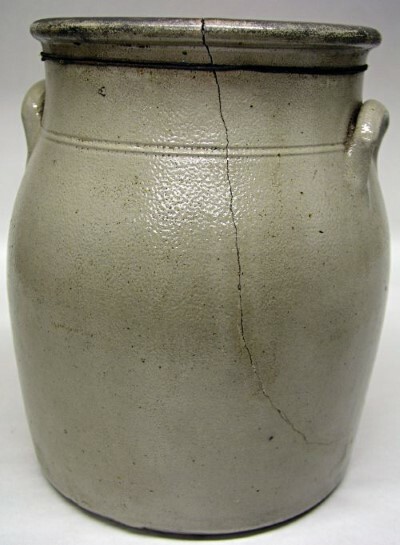 Backside has a tight crack and is also held together with wire along the top edge but is very solid.. Great survivor piece..
Dimensions: Measures 11.25" tall X 8.5 across the base.